MRI scanning has revolutionised our investigation of neurological disorders. We have regular visits from a mobile MRI scanner and the dates of these visits can be obtained from our receptionist. 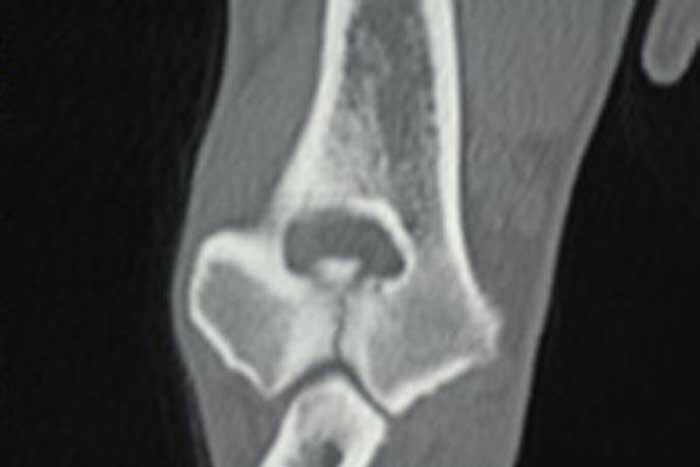 CT scanning is regularly employed in the investigation of forelimb lameness (particularly elbow problems), angular limb deformities and in spinal disease. 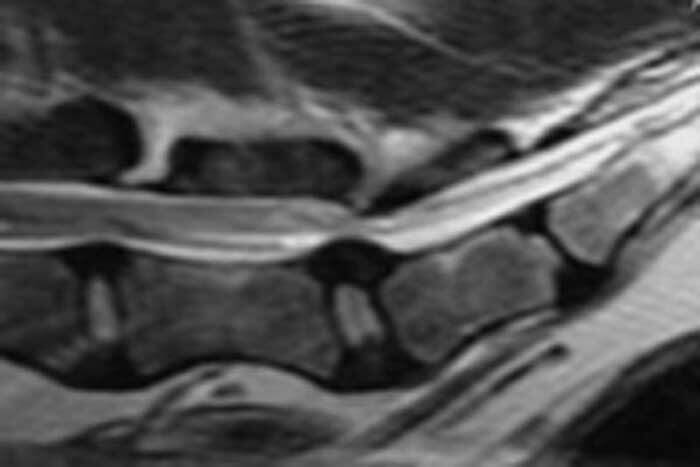 MRI scan of dog with lumbosacral disc protrusion. 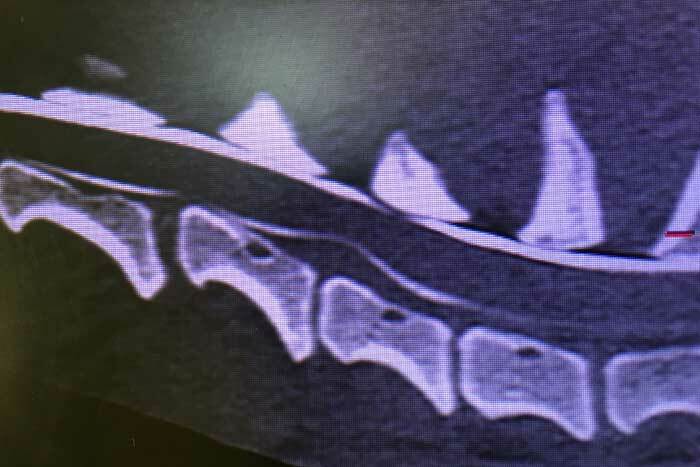 CT scan of dog with incomplete ossification of its humeral condyle (elbow joint). MRI scan of dog with a spinal cord tumour successfully managed by surgery.  CT myelogram showing an intervertebral disc extrusion in the cervical spine.